Check out our new Carbon Fiber Roof Spoiler for the BMW G30/F90 5 Series. 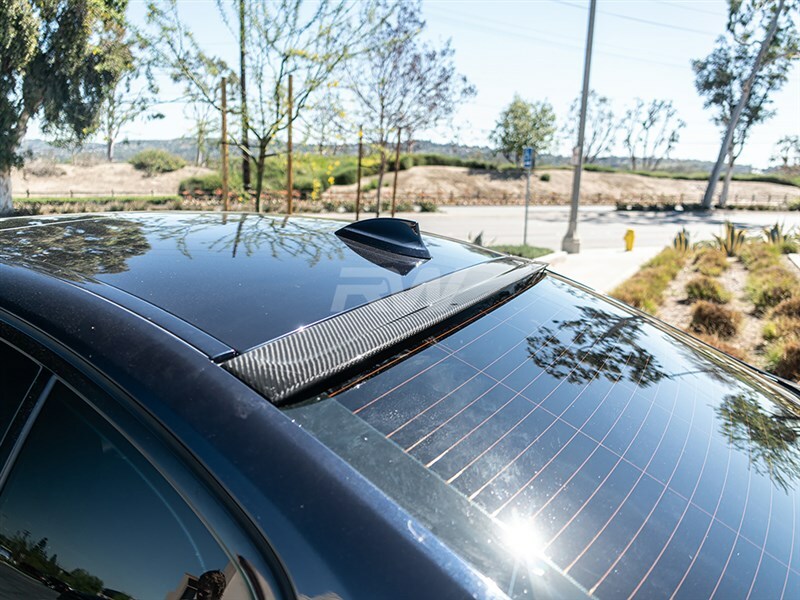 This Roof Spoiler will fit all 530i, 530e, 540i, and M550i models with the M Sport package, as well as the F90 M5. 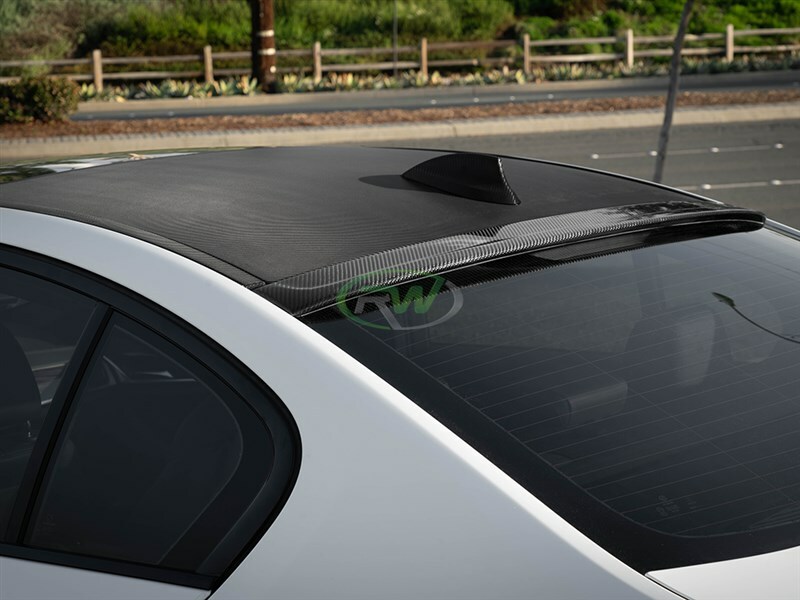 The Roof Spoiler simply installes on the roof of the car using double sided tape. Installation should not take over an hour. This Roof Spoiler, as with all of our carbon fiber parts, comes with a fitment and quality guarantee. 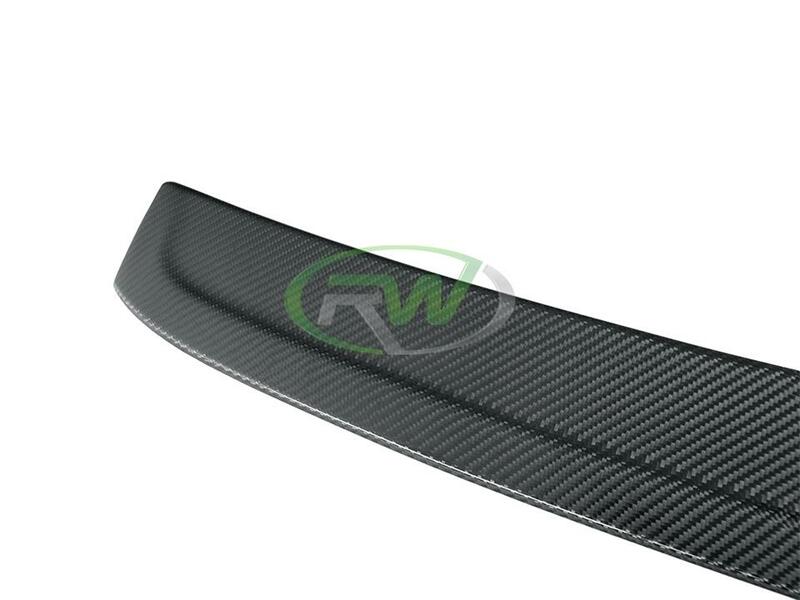 We make this piece using a 2x2 carbon fiber weave and will perfectly match all your other RW Carbon Fiber products. This roof spoiler for the G30 and F90 models requires 3M double sided tape for installation. Apply the tape to the underside and press into place. 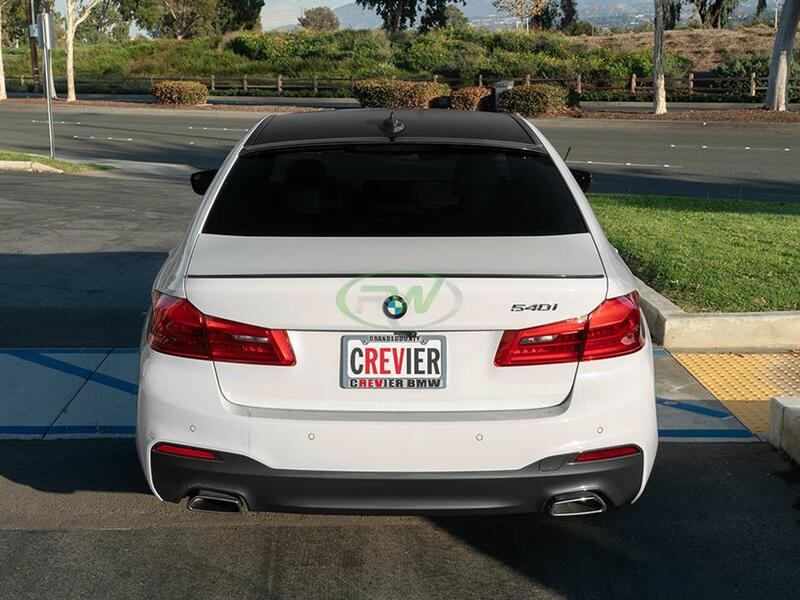 For the best fitment please have this product professionally installed. 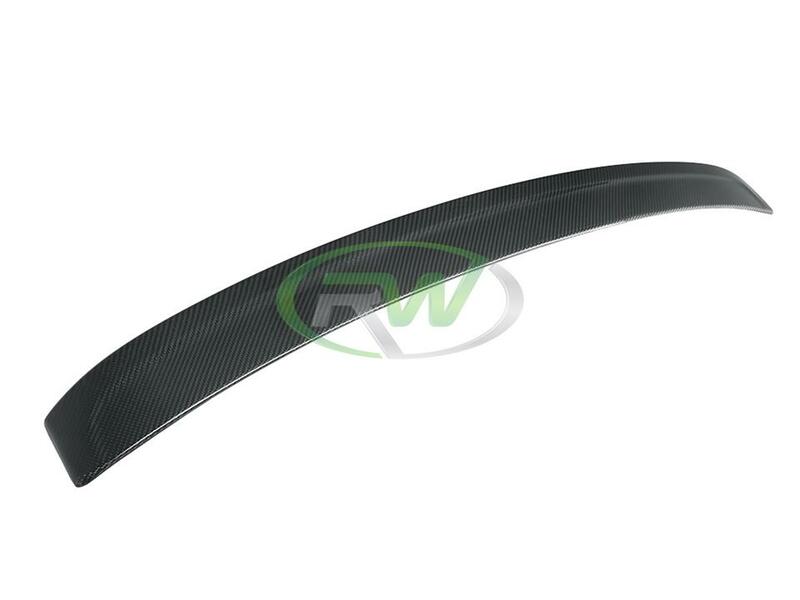 RW Carbon is different in respect to other aftermarket companies in that we are committed to our vision of One Goal - One Focus, Carbon Fiber. 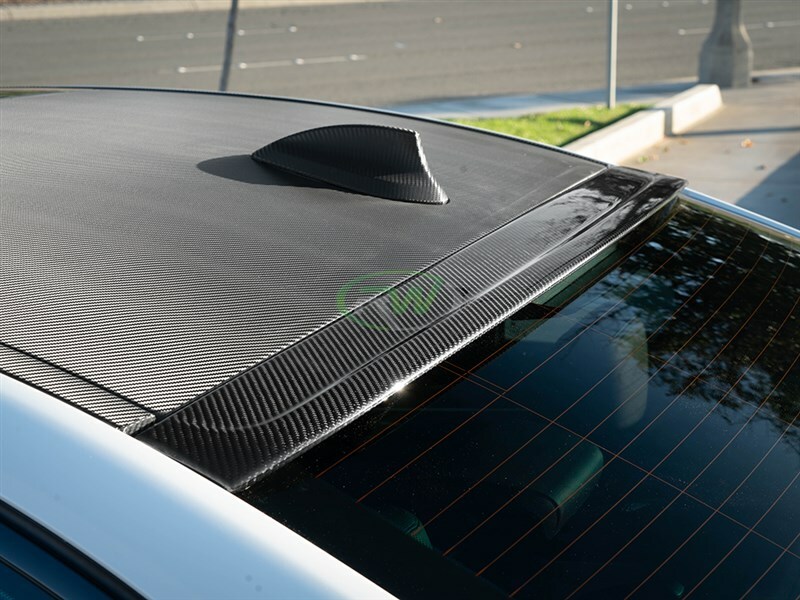 Everything we do involves carbon fiber which enables us to provide our customers with high quality carbon fiber items at affordable price-points. Unique to us, we take the time to quality control every item that ships from our warehouse. When you order from many companies online they are shipping a product straight from overseas that has not been quality controlled. If you order one of these parts you could receive a part that is damaged, has scratches in the clearcoat, or overall poor carbon fiber construction. 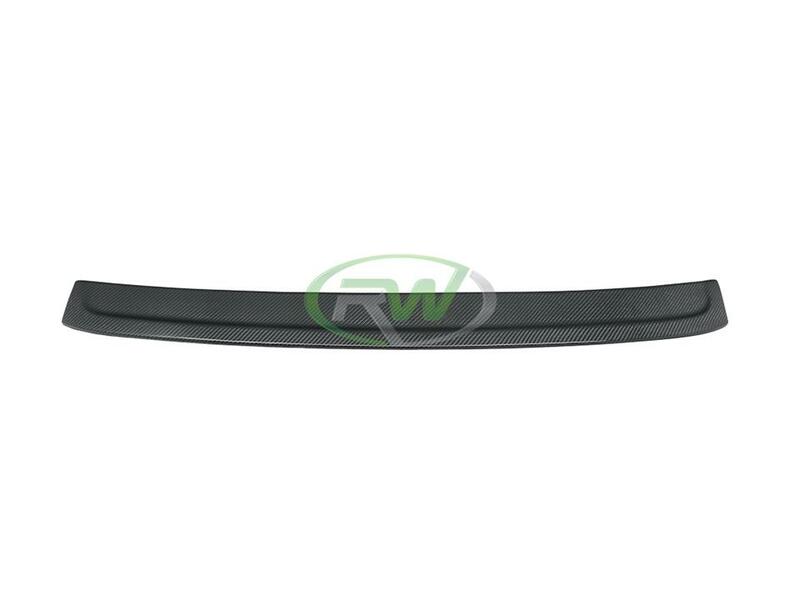 By choosing RW Carbon we make the promise to deliver you a consistent, quality BMW G30 or F90 M5 product on time.